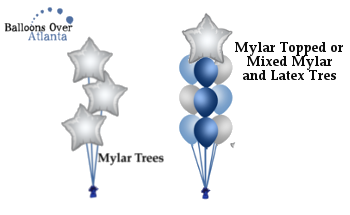 Balloon Trees are a great and affordable way to add color and fun to any location and event. Balloon trees are also described as bouquets, and can be used to highlight entrances, bring color to a room, placed on tables for a fabulous spiral effect. Call Balloons Over Atlanta to help you. One of the qualified balloon experts will give you the best advice on how to most effectively use balloon trees. 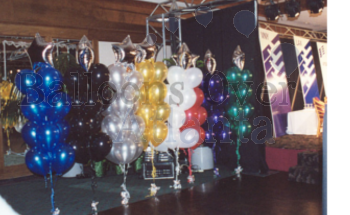 Balloons Over Atlanta is one of the original Balloon Bouquets delivery and decorating services that carries a full line of Mylar and latex balloons to create the perfect Bouquet arrangement or decoration for any occasion. These occasions might include unique birthday gifts for adults and kids, Anniversary surprises, New Baby, Graduation, Hanukkah, Christmas, Holiday, New Years Eve, St. Patrick's Day, Easter, Secretary's Day, July 4th, Thanksgiving, Get Well Soon, Congratulations, New Home, Advertising Promotion, I Love You, I'm Sorry, Cheer Up, or You're The Best! In fact, you can say most anything with a balloon bouquet! 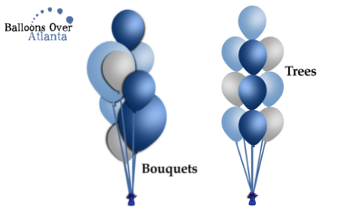 Balloon Bouquets are a great surprise and a great idea. 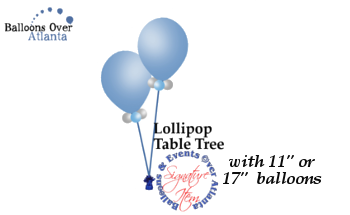 all balloon bouquets can be purchased with add-on items, such as candy or cookies. Ask the sales associates for more information. Click the E-Store Button or call on one of our Smile Professionals to help you choose an appropriate bouquet and arrange delivery. We offer personalized deliveries and assorted gift items. Tired of flowers? 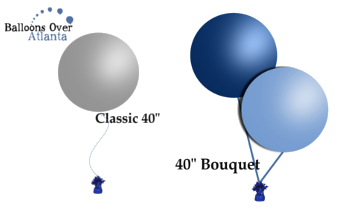 Choose from our wide selection of balloon bouquets, designed to compliment any occasion. 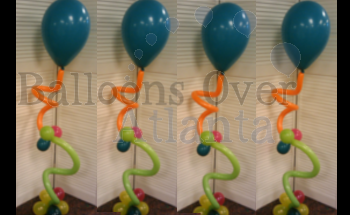 Balloons Over Atlanta makes balloon palm trees for tropical, summer, pool party or Hawaiian themes. 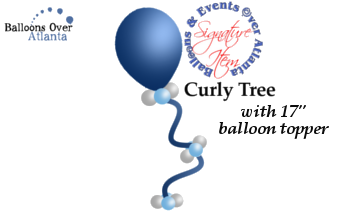 We can also make trees for a Christmas theme, and many other themes would benefit from the addition of balloon trees as decorations as well. 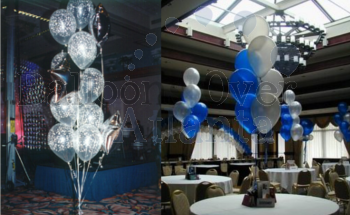 Balloons Over Atlanta is a full service event planning company, specializing in both corporate and private functions. Our planners can coordinate all aspects of your event, or we can assist you with specific aspects of your function. When everything has to be perfect, you can rely on the "event planning" specialists at Balloons Over Atlanta to deliver!